Motocard and Dorna WSBK Organization are delighted to announce that the Spanish company, will be the Event Main Sponsor of the third round of the MOTUL FIM Superbike World Championship, in Spain. Taking place from 5th-7th April, the Motocard Aragón Round will be the first chance for European fans to see their heroes racing in the 2019 season, as the championship is set to make its European return at Motorland Aragón. As Spanish star Alvaro Bautista (Aruba.it Racing – Ducati) heads into the busiest part of the season as championship leader after having won six WorldSBK races out of six held so far, expectation continues to rise ahead of the Motocard Aragón Round. 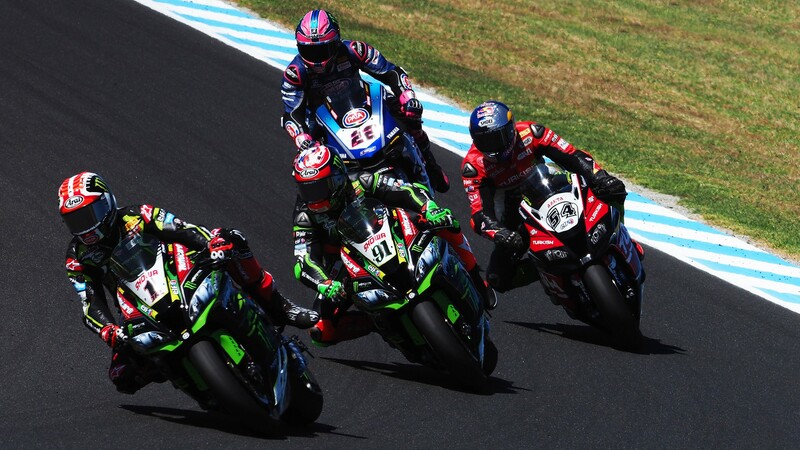 Fans will be treated to the third “triple treat” race weekend of the year, and the battle is set to grow even bigger in Spain, as reigning World Champion Jonathan Rea (Kawasaki Racing Team WorldSBK) will try to stop the Spaniard right at his home round. On top of that, the Motocard Aragón Round will host the first round of the FIM Supersport 300 World Championship, offering even more on-track action to the fans and thrilling racing battles, with local star and reigning WorldSSP300 World Champion Ana Carrasco (Kawasaki Provec WorldSSP300) trying to defend her crown this year. Based in Barcelona, the Spanish company are European leaders in the distribution of motorcycle gear. Founded in 1982, they have more than 30 years of experience in the field, and their passion and commitment to Motorsport personifies the essence of WorldSBK’s high level of racing. Expanding their support to WorldSBK in Europe, Motocard will be Promotional Partner for the championship in all the European rounds and starting from Assen, a promotional truck located in the Fans Zone will provide fans with all their experience and innovative products at all the European Events. Tony Batllo, Motocard Executive director: “This year Motocard begins a new chapter. We aim to continue growing and not just as a store, but we want to become a meeting point for all motorcycles enthusiasts and for those who have a passion for motorcycle racing. For this reason, we are delighted to expand our presence in WorldSBK and not only with our collaboration with the Kawasaki Racing WorldSBK team but also as a partner of Dorna. WorldSBK is a championship that identifies our values, so we will work together to promote the series throughout Europe. In addition, there is no better way to start our partnership with WorldSBK than Aragón, as we will name the first European round of the season”. Marc Saurina, WorldSBK Executive Director, Commercial, Marketing & Media, said: “The first round of the season with Motocard is wonderful news for the championship! The Spanish company have been part of WorldSBK for many years supporting the Kawasaki Racing WorldSBK team, and by extending their commitment to the World Series as Promotional Partner, it will help increase their exposure even further. We are delighted to have them onboard, and we look forward to another successful event and taking this partnership into the future”.